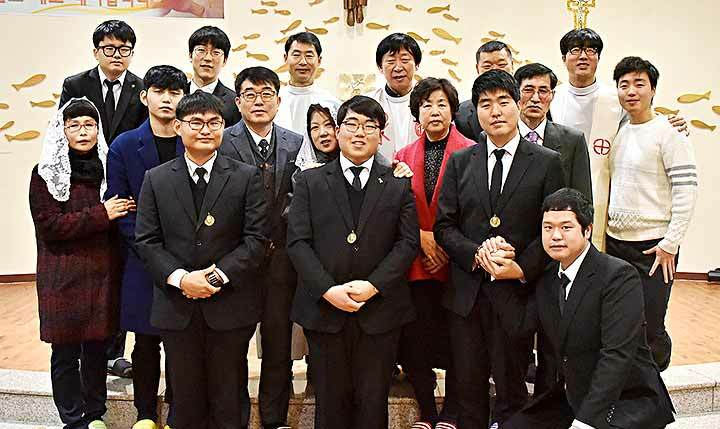 Taean, Korea, 24 January 2018 -- In the provincial novitiate house of Korea, Fr. 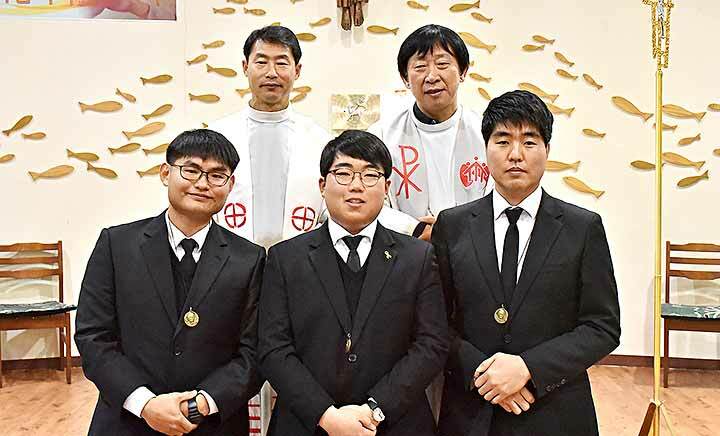 Stefano Yang(KOR Provincial Superior), with 4 priests concelebrants, received the first Salesian Professions of 3 new Confreres: John Baptist Kim Kyung-tae, Nicolao Jung Il-hyun, and Peter Hwang Eui-chul. The new novices of the year 2018 those who began on 31st January are also 3. 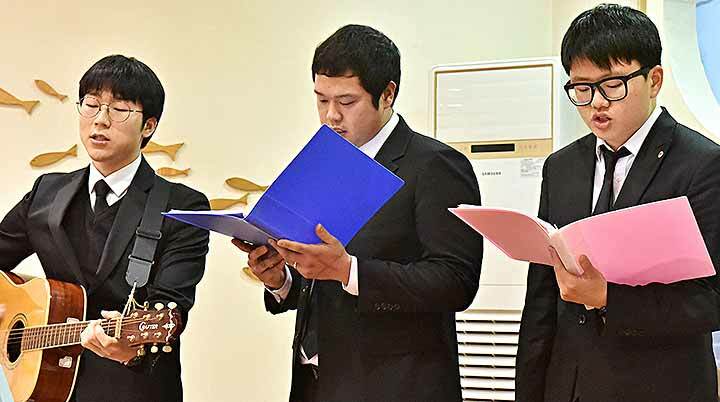 After communion, the new novices played the guitar and sang a song written by Joel Heo Sung-ho, one of the new novices.